Sooooo, you’ve planned a trip to Disneyland this week, or you’re kicking around the idea for a visit. What are you in for? As luck would have it, I’m kicking off a new weekly column to give you a preview of what’s on the immediate horizon at Disneyland each week. As for this week, well, it’s summer, and the kids are out of school, so spoiler alert, it’s going to be hot, and it’s going to be crowded. That said, there’s still plenty of fun to be had, so let’s see what’s on tap in this week’s Disneyland preview! This week is highlighted by the long-awaited return of Fantasmic! to Disneyland Park! Starting Monday, July 17, guests will once again be able to experience this nighttime spectacular over at Tom Sawyer’s Island. Disney has added some upgraded technology and some new scenes inspired by Aladdin and The Lion King to the show. Disney has also opened up Dining Packages for those of you that are willing to pay a bit of a premium for reserved viewing. Participating restaurants include Blue Bayou ($65 adults/$25 children), River Belle Terrace ($45/$25), and Hungry Bear ($29.99/$19.99). Reservations are available through Disney. 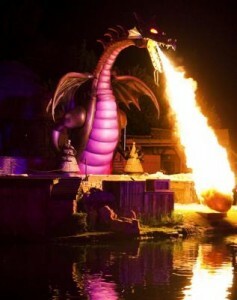 Disney has also announced a number of new Fantasmic! snacks to memorialize the occasion. Additionally, there’s lots of Marvel superhero fun at Disney’s California Adventure as the Summer of Heroes continues. Check out Derek Burgan’s excellent overview of what to expect if you’ve not been before. Speaking of all things Marvel, while the initial mania surrounding the new Guardians of the Galaxy: Mission Breakout! has dissipated, the attraction continues to be extremely popular, with both the queue for the attraction and the queue for the attraction’s FastPass machines growing quickly as soon as the park opens. If experiencing this attraction is high on your list of priorities, we continue to recommend either doing it or getting a FastPass for it as soon as you enter the park at park opening. Back in January, Disney announced that MaxPass, an app-based way to reserve FastPasses, would be coming to Disneyland Resort, and that time is officially upon us. The system is set to go live on Wednesday, July 19, 2017. As part of this launch, FastPass machines will no longer distribute live FastPasses; instead, they distribute reminder cards, but you’ll enter the attraction by scanning your park ticket or Annual Pass. Finally, while it’s not happening in the parks, the D23 Expo will be taking place at the Anaheim Convention Center in the shadow of the Disneyland Resort on Saturday and Sunday. While the impact on crowds is already baked into our Crowd Levels (see below), having an enormous horde of Disney superfans descend upon Anaheim is sure to add an interesting energy to the parks. You’ll notice it in the evenings in particular, after the days’ events have wrapped. For more details about the event itself, check out the Official D23 Expo site. It’s summer in Southern California, and the weather is unsurprisingly forecast to be hot, with highs in the upper 80s most days. Moreover, there’s not much variation, so from a weather standpoint, it’s not going to make much difference which day you go. On the up side, there’s currently not a bit of rain in the forecast at all, so you can leave the ponchos at home. Disneyland has a full slate of shows this week to go with the large crowds. World of Color will be showing twice every night at Disney’s California Adventure, the Main Street Electrical Parade will have two showings a night at Disneyland Park, and the Remember…Dreams Come True Fireworks Spectacular will take place over Sleeping Beauty’s Castle every night as well. Additionally, both parks will run their afternoon/early evening parades once each day, and Fantasmic! 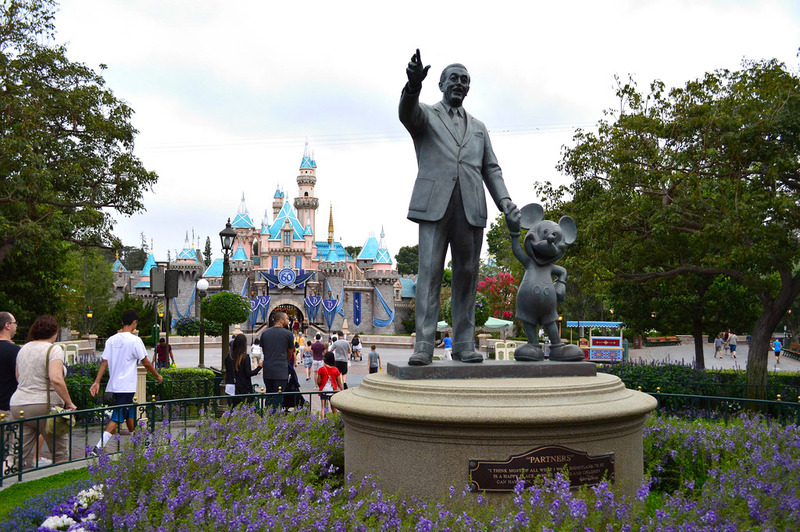 will run three times per night at Disneyland Park starting Monday, July 17. Detailed show schedules, including smaller-scale performances like the Dapper Dans, can be found here. It’s a busy time of year, and that means that there are several Annual Passholder blockouts to keep in mind. If you have a Southern California or Southern California Select Annual Passport, you’re unfortunately blocked out this entire week. If you have a Deluxe Annual Passport, Saturday the 15th is blocked out, but you’re otherwise good to go. All other Annual Passports will be honored all days of the week. For those of you buying tickets as day guests, single-day tickets are at Peak cost on Saturday, Sunday, and Friday ($124 adult/$118 child) and Regular ($110/$104) the remainder of the week. Disneyland Park will open at 8 a.m. and close at midnight every day this week, and Disney’s California Adventure will be open from 8:00 a.m. to 10:00 p.m. each day. The parks will open one hour early for eligible guests at Disneyland Park Saturday, Tuesday, and Thursday, and Sunday, Monday, Wednesday, and Friday at Disney’s California Adventure; resort guests can take advantage of these hours every day of their stay for Extra Magic Hours, while guests eligible for Magic Mornings can use that benefit one day at Disneyland Park only. Full park hours can be found by clicking on each date in the Crowd Calendar. Looking ahead, all of the Rivers of America attractions will be open as of July 29, 2017, and the Main Street Electrical Parade continues its march towards the permanent end of its run on August 21, 2017, so keep those dates in mind if those attractions are an important part of your trip!